Age requirements – Any migrants applying for entry into Australia need to be under 50 years of age. If you’re between the ages 25 and 32, you will automatically start with half of the required 60 points as you are considered more likely to sustain a job. People below the ages of 25 get 25 points whilst people over 45 are awarded 0. English Language skills – All applicants will need to demonstrate a reasonable level of English but you can gain valuable points if you’re language skills are deemed to be superior or you can speak the language fluently. Education/Employment History – Your past employment history and qualifications can count towards a number of the points needed to meet the required 60. These can be gained in Australia or overseas but qualifications from reputable or established institutions will be looked on more favorably. A doctorate from an institution recognized by Australia is worth 20 points for example. 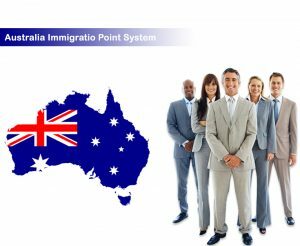 Anyone planning to emigrate to Australia will need to apply for a skills-based visa unless they have relatives or family over there already. A skills-based visa is designed for designed for skilled migrants, who don’t have any sponsorship from the state, territory, employer, or family member in Australia. In order to apply for this visa, you will need to select a profession from the SOL (Skilled application list) You’ll be given a list of professions to choose from and you will need to pick the one that most closely matches your current skill-set. This is what your experience/qualifications will be matched against when filling in the points-based assessment. The more relevant your experience and employment history, the more likely it is you will be granted entry. How to Migrate to Australia For Skilled Workers?